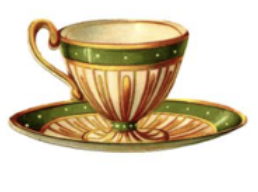 3/10/19: The Equali-TEA registration deadline has been extended to March 13. There are a limited number of openings for the 10:00 a.m. seating and multiple openings for the 1:00 p.m. seating. ​The tea promises fun, fellowship, rental hats, music, food, door prizes and an enlightening presentation. Your attendance at this fundraiser helps support all of the important work LWV Duluth does each year. $25/person when paying by check. ​PayPal pricing includes processing fee. *Your registration is not considered complete until payment is received. There are so many headlines about the national opioid epidemic but what does it look like here in the Northland? Our featured speaker will be Megan Dormedy, a St. Louis County Probation officer. She will provide a variety of information and insight on this topic..